A few questions I have asked people that I've shared Jesus with is 'if there is no God, can you tell me what has happened to all these millions of people all over the world who preach Jesus? 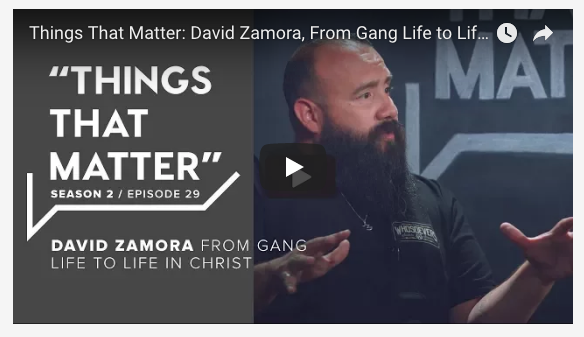 This video contains a testimony of a gentleman, Pastor David Zamora, who was once into the gang life and was later radically transformed by Jesus. Pastor David Zamora is interviewed by Pastor Brian Brodersen of Calvary Chapel Costa Mesa. This interview brings to light God's affect in someone's life who questioned Jesus and soon received an answer that transformed his life. Wow! How did that happen? Check out the video and be encouraged. BTW. If you don't know Jesus today, from your heart, ask Him to reveal Himself to you. To show Himself as He has shown himself and transformed the lives of millions of people who have openly received Him as Lord and Saviour of their life.